Meguru Takayanagi and Takashi Segawa became fast friends in elementary when they both attended a dojo run by Takashi’s grandfather. After Meguru’s grandfather dies, he moves away from their rural town to Tokyo, leaving Takashi behind. However, Takashi’s father, a former yakuza member, comes back into town to see his son, resulting in a tragic conclusion that drives Takashi to begin fighting to take his revenge. Seven years later, Meguru is a casual yet interested participant at a mixed-martial arts dojo, and as he steps into the ring for his first fight he finds Takashi starring him down without so much as a word of reunion. 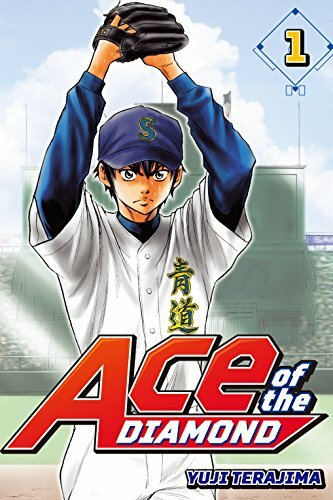 The governing archetype of shonen sports manga is a plucky protagonist who has an insatiable drive for sport and, quite frequently, an insane sort of talent. 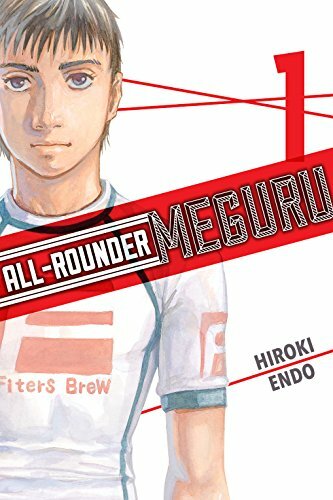 If you’re looking for something that breaks that mold in a way that remains just as engaging in its own way, All-Rounder Meguru is for you. 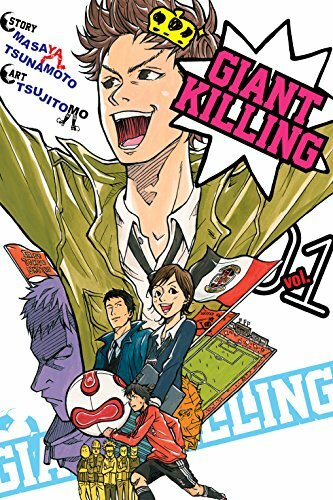 This volume starts off with a lengthy backstory showing Meguru’s burgeoning friendship with Takashi as children before fast-forwarding to the present day. It’s almost striking how casually this friendship is portrayed – it’s exactly the sort of incidental friendship that occurs in real life when two children sort of fall into being friend - and I dig it in the context of the relatively grounded story is trying to portray. Naturally, there is a bit of tragedy to propel the story forward, but this raised several interesting questions in creating this series’ starting premise particularly because Meguru is largely unaffected by it all initially while giving Takashi a powerful and interesting driving motivation to bring into the present. The rest of the volume warps to the present to begin the story in earnest as Meguru arrives at his first MMA competition to find Takashi in the ring as his opponent. This first fight is presented well and is an interesting catalyst for the story in setting up the competitive relationship between Meguru and Takashi. While the MMA fights are present in this volume, in this early stage of the story they function more as part of Meguru’s process of dabbling in the sport as opposed to being big climactic events. This segues into Meguru’s training we get to know his character a little bit. 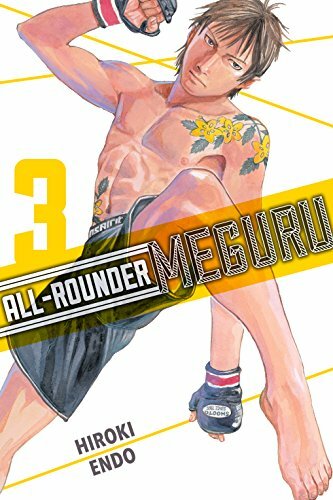 I was struck by how low-key Meguru is during this volume – he lacks a strong personality and does MMA as largely as passing hobby. I don’t mean that in a critical way - despite Meguru not being the most interesting or memorable personality at the outset, what is interesting is the way that we see his interest in MMA slowly progress over the course of this volume. This is done in small but realistic ways such as staying for a more competitive practice. We also see the other side of the coin as he weighs whether he really wants to go to training. This volume establishes that Meguru has other interests outside of MMA to balance his time with, and this was fascinating because of how true to life it feels. This made his progress in trying to better himself in MMA interesting to follow at this initial stage because we got to see early on the balancing of interests Meguru has to undertake. The flip-side to Meguru’s rather nonchalant beginnings in MMA is Takashi’s story, which forms an engaging plotline that intersects with Meguru’s. Takashi’s motivation is put forward fairly starkly in comparison to Meguru, and we see a subsequent fight later on that helps to expose us more as readers to the technical aspects of MMA. Again, the fights aren’t particularly exhilarating at this early stage, but this helps to create a sense of realism as both Meguru and Takashi begin to work their way up the ladder in similar ways. Although Takashi is a bit of a grump, this lack of character makes logical sense in the context of the story, and I’m hopeful that we’ll see some development on his part as things progress. At the end of this volume I was happy with the way that a competitive rivalry of sorts was set up between the two even if neither is really thinking on those terms yet, and I’m definitely interested in seeing where things go from her in that department. The art in All-Rounder Meguru, much like the story, places a high priority on creating a portrayal of MMA grounded in a sense of realism. Fights, at the amateur level they occur at in this volume, are not flashy at all, and instead we are treated to a clear depiction of the events with an accompanying technical explanation. That said, some wider shots are mixed into panels to give dynamic views of the action, conveying the flair of some of the different moves used by the fighters. Meguru’s training is also used as an occasion to give a fairly comprehensive overview of the different moves as they occur, and I thought it was interesting to see the training he undergoes thoughtfully laid out to emphasize his effort. This made the book both fully-accessible as well as engaging in depicting Meguru’s particular experiences in dabbling with MMA, and I’m curious to see how his interest develops. All-Rounder Meguru Vol. 1 is an engaging read that depicts a more understated sports coming-of-age story than is usual. This is refreshing – we see Meguru beginning to dabble in MMA, but this is true to life in the sense that he actually feels like a person who has other competing interests before MMA begins to grab him a little bit. The backstory set up between him and Takashi is interesting and established some potent emotional baggage that the series hasn’t quite utilized yet, and I definitely look forward to seeing how the paths of these two intersect as we go deeper into the world of MMA. All-Rounder Meguru Vol. 1 was translated by Steven LeCroy and published by Kodansha Comics digitally on March 7th, 2017. Authored by Hiroki Endo, the series is ran for 19 volumes in Kodansha’s Evening magazine.